Vietnam transportation is so complex with various types of traffic, in particular, motorcycle as the most popular one. It refers to the fact that Vietnam becomes the second largest motorbike possession in the world with nearly 40 million registered motors (statistics 2016). 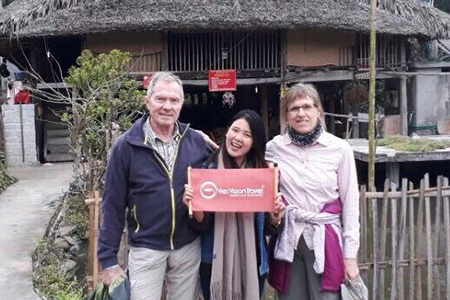 With many forms of transport, it is easy to travel to Vietnam and inside it by airplane, car, motorcycle, train, coach or bus…Understand about transportation in Vietnam will support you a lot in your Vietnam tour. Traffic jams often occur during the peak hours every day (before and after working daytime), weekends and holidays. In some large cities like Hanoi (the capital of Vietnam) and Ho Chi Minh City (the second largest one), traffic jam is always a hot issue. As mentioned before, there are too many vehicles, especially motorcycles in urban areas, leading to this situation. Besides, although Vietnam has invested in expanding roads on a big scale, it is not effective, even in poor quality. On many roads and streets, there is no traffic lights or even road markers for walkers, so pedestrians often walk across the road in the wrong way. This also affects the circulation of transport, making it become chaos. Although cars in Vietnam are sold at high prices, the cost for transporting in Vietnam is quite cheap. The fee for entering the highway, the tax for maintaining transportation infrastructures and related ones are reasonable. Together with cheap transportation cost, the transportation services in Vietnam is absolutely opposite to the traffic. You can easily hire any means of transportation from bike, motorbike, motorbike taxi, car with or without drivers, private coach, and even plane. Hundreds of companies run this type of business all around the country which means the prices will be reduced and the quality will be raised thanks to the competition. 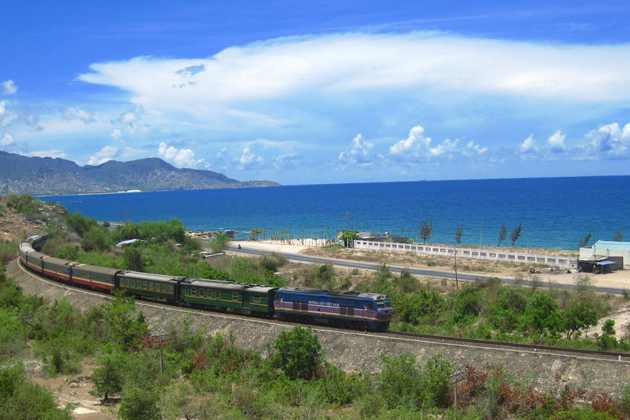 The industry of train in Vietnam has been developing since the French colonize Vietnam. 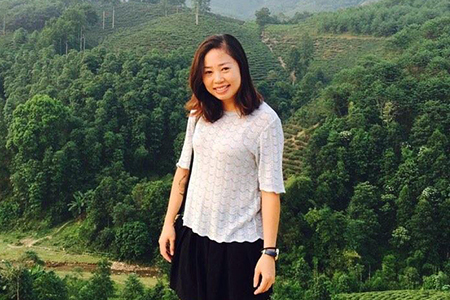 Today, Vietnam has a system of tracks spreading all over the country which can bring you anywhere and at any time. Traveling by plane is becoming the common choice of tourists because of its time and energy saving. Vietnam has three international airports in Hanoi, Danang, and Ho Chi Minh City with various non-stop flights from hundreds of countries worldwide. 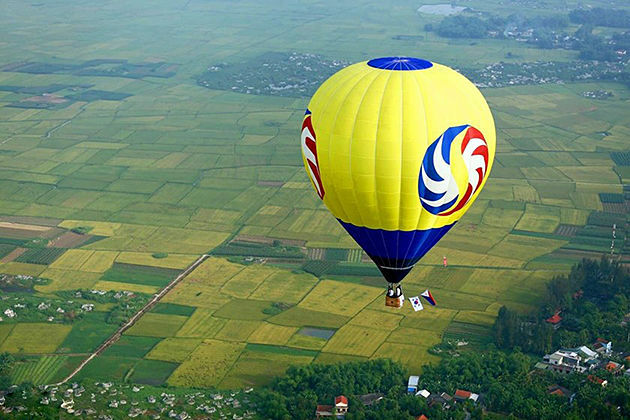 Besides, the domestic airports in big cities will give you a convenient selection for traveling in Vietnam. The public transportation like bus will be invested a lot by the Vietnamese government in the future. At the present, most cities in Vietnam has the chain of buses, routes, and bus-stops. 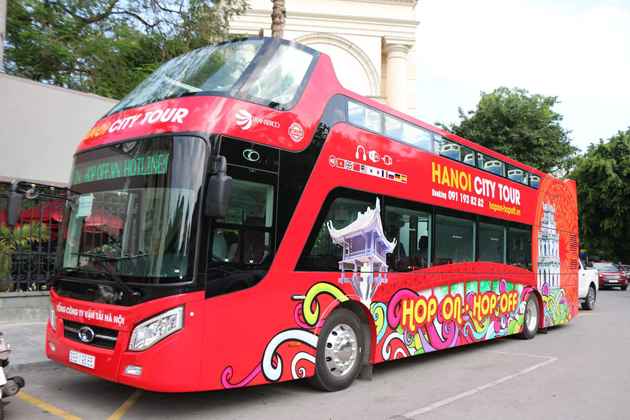 Moreover, using the bus is contribute to responsible travel for the sustainable development of Vietnamese tourism. 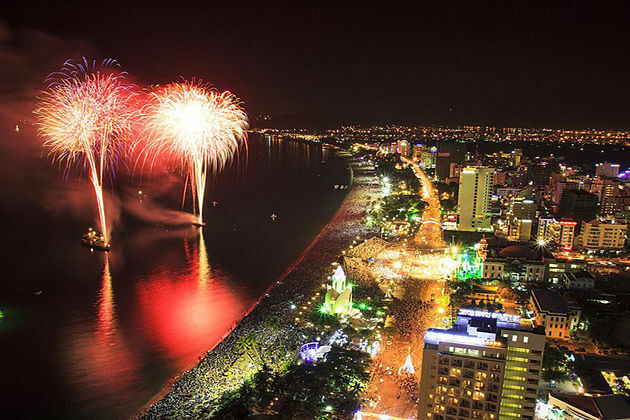 With a long coast of more than 3000km, Vietnam is the country of beaches, sands, and seafood. 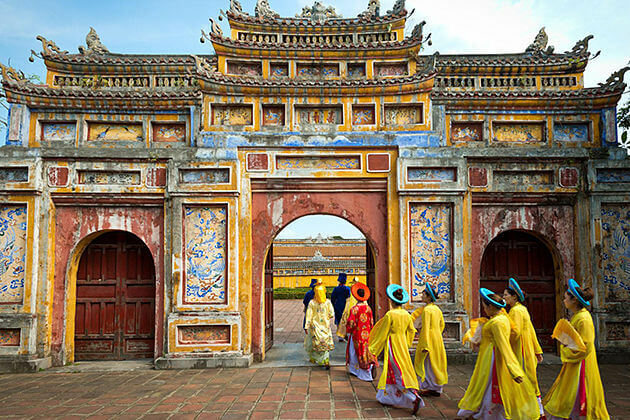 Visit Vietnam without exploring the ocean will be such a great mistake. Boats and ships are offered with different qualities and services will satisfy any specific requirements of tourists. Vietnamese are usually hot-tempered, this can be recognized in their transportation participation process. On the one hand, some Vietnamese are well aware of traffic rules and laws, however, many other people are not. They have performed a poor awareness as driving recklessly by going fast (exceed acceptable level) or crossing the red light. Their carelessness may have to trade-off by their lives or injuries, while not mentioning the influence on others. Some who are far away from road markers as the light is red or stuck at congestion, can not wait until the light becomes green or congestion ends, instead, they try to ride on the sidewalk which is for walkers or even shout now and then. These factors contribute to chaos and are possible causes of traffic accidents. Motorbike is the main transportation in Vietnam. 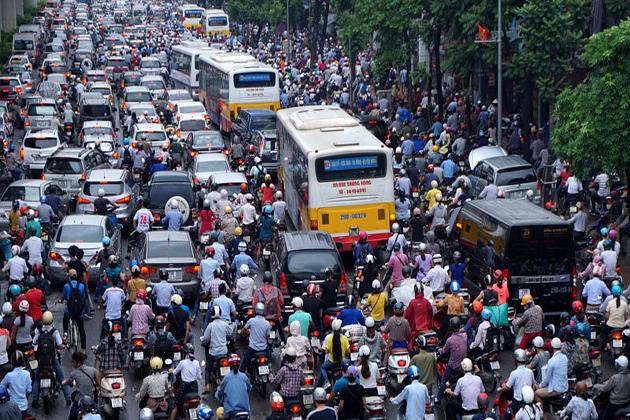 Hanoi has about 7.5 million people and the number of motorbikes is likely chasing with the figure of 5 million. Besides, economic growth leads to the increase of private cars. However, transportation infrastructure in Vietnam can develop fast enough to meet this huge number of vehicles. As a result, it not only causes traffic jams and accidents but also relates to environmental issues. Heavy emissions from this means of transport deteriorate the atmosphere, leading to a high level of air pollution. In a meeting among city councilors in 2017, almost all of them agree upon deciding to ban motorbikes by 2030. Officials mentioned that the number of vehicles was going up to an “alarming” figure and pollution will become increasingly serious. Many ideas are that it can be a solution to replace motorcycles by public buses, however, whether the government will provide various public transport alternatives. The decision is still treated with skepticism and only when the year 2030 comes, we can see whether the change happens. To avoid suffering congestion in some large cities under the hot weather, efficient way for travelers is to travel by car, coach or local bus. These services are inexpensive for tourists, also contributing to reducing traffic congestion. To travel among big cities, tourists can go by air (faster) or train (more safety and security). On the other hand, visitors can participate in motorbike driving to have really memorable experiences. If having time, travelers can explore the beauty of cities by riding on bicycles or walking through streets as a careful way of culture discovery. *How to cross the road? 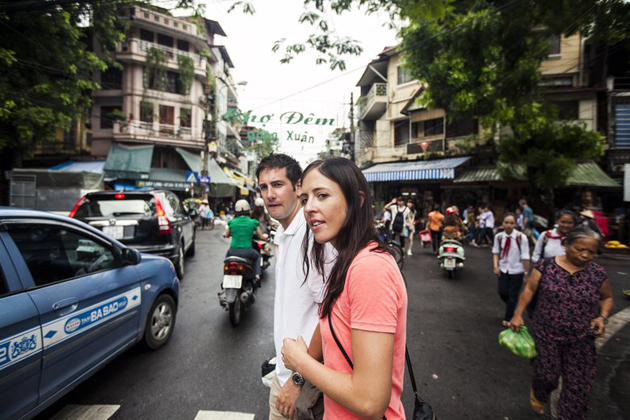 Tourists often feel very confused and even scared to cross the road in Vietnam because there are too many vehicles surrounding and there is no road markers or traffic lights on many small streets. A guideline is that you can move slowly on the road and raise horizontal hands so that drivers can see and avoid. It would be like a real adventure!